Oh what a perfect layout. I love the photos, the story, the way you did the title, I love the colors, I love how you used the kit and template. I love everything about your layout! This is fabulous Krista! Love all the little wordy embellishments! 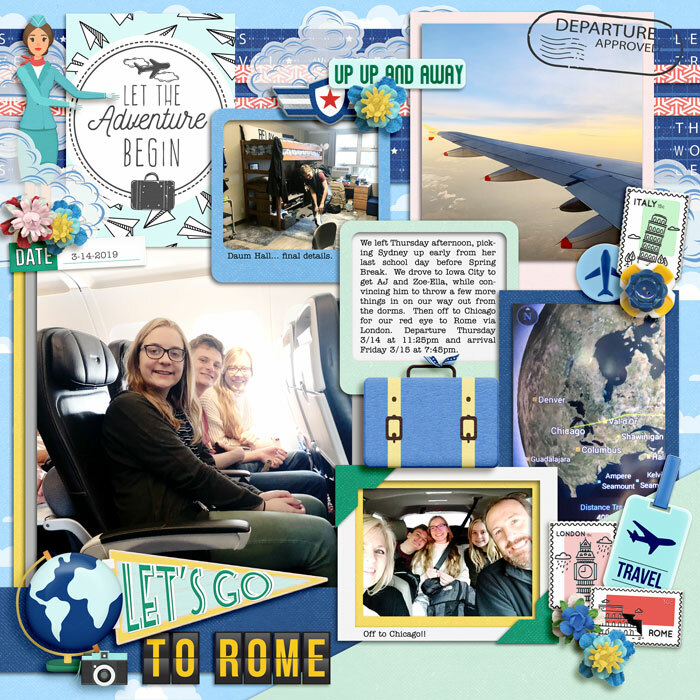 Great travel page! Love the little stewardess element and all the themed elements! Love the flow around your page! So fun!